Construction is still largely regarded as a male domain, and women are not taken seriously as professionals in construction. Society, tradition, organisation culture, and sexist attitudes play a key role when appointing women in leadership positions. Construction should not be male dominated because it is considered ‘rough and tough’, and women should be given a chance to prove themselves in the construction industry. There is a clear indication that commitment, dedication, acknowledgement, responsibility, confidence, and self-promotion have an impact on the core competencies of women in construction. Women are prepared to work to be successful, if given a chance to prove themselves. Furthermore, women are perceived to do well in situations where they need to manage different projects all at once. Women in managerial positions are also perceived as more demanding than their male counterparts, and women have the confidence to pursue and motivate themselves in the construction industry knowing that they can do the job and complete it successfully. To participate in construction as a woman takes great courage mainly because it is regarded as male ‘terrain’. Women must face many challenges to gain recognition in the construction industry, which makes it difficult to penetrate and persevere in the male dominated environment. However, women can succeed in construction using their female skills without having to adopt a masculine approach. Although women have made great strides in construction, the ‘glass ceiling’ is far from being completely shattered. Women’s representation in the construction industry’s formal structure is ranked first among the factors that constitute barriers to advancement of women in construction, followed by the male dominated work environment, and culture. Therefore, it is increasingly important that women cease thinking that they must be similar to men in order to succeed as men do. Despite the increase in the number of women being employed in the construction industry, they still constitute only a small percentage of the industry’s workforce. Relative to succeeding in construction, the competition is tough, especially when competing against male counterparts. 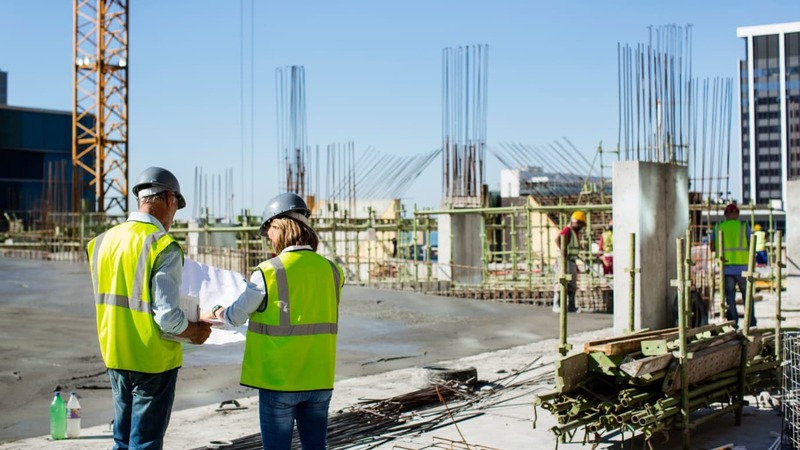 It can be deemed that the construction industry’s boardrooms are sadly lacking women in managerial as well as chief executive posts in the construction industry. In terms of realising a change in the industry’s culture, initiatives aimed at the management of culture have been shown to be more successful when they are integrated into packages of change initiatives. The range of ‘equality’ measures should comprise a mix of gender-specific initiatives aimed at improving women’s careers in construction, and at addressing the barriers to women pursuing a career in construction. If women are to participate optimally in the construction industry, strategies aimed at mainstreaming women into construction need to be embarked upon. Appropriate steps should be taken to create a more equitable work environment through the development of cultural change within construction organisations. It is only through a genuine commitment to the development of a more equitable industry from the highest level, that women are likely to be able to develop their careers in parity with men. However, if more women can be retained in this way, then this may in turn lead to a further increase in the number of women entering construction as those obtaining management positions constitute role models for future entrants. The main implication for organisations in the construction industry is that they need to improve the industry’s image if they are to attract women graduates. Organisations need to provide mentors for undergraduates and young graduates entering the construction industry. Furthermore, the mentors should ideally be women who would also act as role models to women entering the industry, although male mentors would help reduce some of the stereotypes of management through increased interaction with women recruits. The South African Institute of Occupational Safety and Health (Saiosh) was established on the historic day when South Africa celebrated the 20th anniversary of the release of Nelson Mandela from prison on 11 February 2010 by a group of enthusiastic Occupational Health and Safety Professionals from South Africa. Saiosh is recognised by the South African Qualifications Authority (SAQA) as a professional body to register Occupational Health and Safety Professionals in South Africa in terms of the NQF Act, Act 67 of 2008.